Thuan An beach, a long-standing beach that when referring to the beaches in Thua Thien Hue. Wallow yourself in the sun, the wind and immersed in the cool water on the yellow sand of Thuan An beach. Thuan An is changed new, clean and pretty clothes! When coming to Thuan An beach, how we can choose delicious and cheap food? 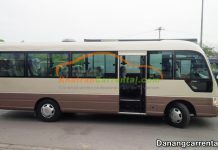 What should you consider when traveling to Thuan An beach? It would be a shortcoming if you travel to Hue city on summer days without visiting Thuan An beach, a long-standing beach that when referring to the beaches in Thua Thien Hue, people give it a special position in their heart. 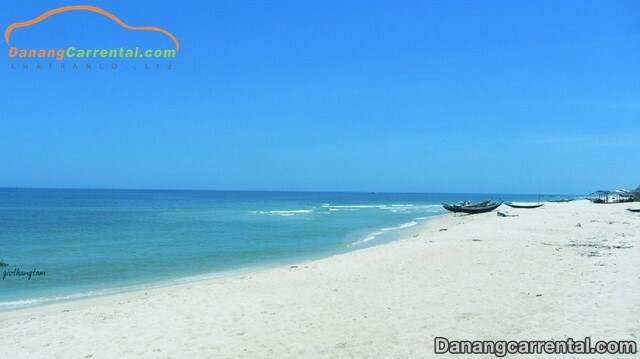 Wallow yourself in the sun, the wind and immersed in the cool water on the yellow sand in the poetic scene of Thuan An beach, you will find your soul relax and unoccupied, then dispel the heat in the hot days as well as the tiredness of everyday life. Thuan An beach – Phu Thuan is located in Thuan An town, Phu Vang district, 15 km in the East of Hue city. Its coastline stretches over 12 km, of which three beaches are planned over 700 m of coastline is beach number 1, beach number 2 and Phu Thuan beach. The beach is located near the river mouth, but Thuan An beach has soft waves, clear water and not too deep. Therefore, it is very harmless and convenient for bathing. All people in Thuan An beach eat with the beach, sleep with the beach and start-up their life from the beach too. However, the spontaneous business activities such as restaurant services, street vendors, and near-shore fishing create a huge amount of waste that is not properly collected and treated. It makes the loss of beauty and environmental pollution for Thuan An beach. Nowadays, it is no longer an obsession in tourists. From February in 2016, Thuan An beach – Phu Thuan was upgraded and improved all of the infrastrutureson the beach by the Committee of Phu Vang district in order to create a new landscape as well asa new, clean, friendly and romantic look for it. You can enjoy the more services professionally without worrying about being disturbed by street vendors or trash! 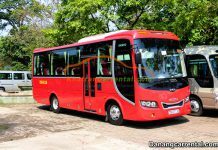 From the city center, you move in the East along Pham Van Dong street, you will see the crossroad of Phu Thuong and Pham Van Dong, continuously go straight along Highway 49, and go over the Dien Truong 2 bridge and Thuan An bridge. Next, you keep going straight ahead to the end of the road until you see three-way crossroads, turn right you start to see the big road on the left and turn into the beach then. The distance of 15 km and it will take you about 20 minutes when traveling by car and it takes you about 30 minutes when traveling by motorbike, so you should consider carefully the starting time of 7 o’clock in the morning or 02:30 in the afternoon to enjoy the most convenient bathing because the sun is not too hot, the sea is not too cold and especially, you have enough sunshine for great photos at that time! The old Thuan An bridge: On the way from city center to Thuan An, you will go over the new Thuan An bridge. You can stop on the bridge and look at the view on the left. At this time, you can see the old Thuan An bridge lying parallel with lots of ancient traces and still saving the footsteps of the Hue people as well as many visitors through many generations. Especially, you can see border stations and Thuan An fishing port if you go further from the old bridge. It is not difficult to find a corner with containing all the features of Thuan An in one picture. For those who love artwork, sunset is the perfect time to give you a perfect picture. Observatory: Observatory is located on the beach number 1 is a place for salvage observers around the beach to rescue in time for the unfortunate guests while bathing in the beach. Because it is located close to the beach with sunshine and wind as well as being equipped with more buoys and colorful flags. Those points help to give you wonderful photos. 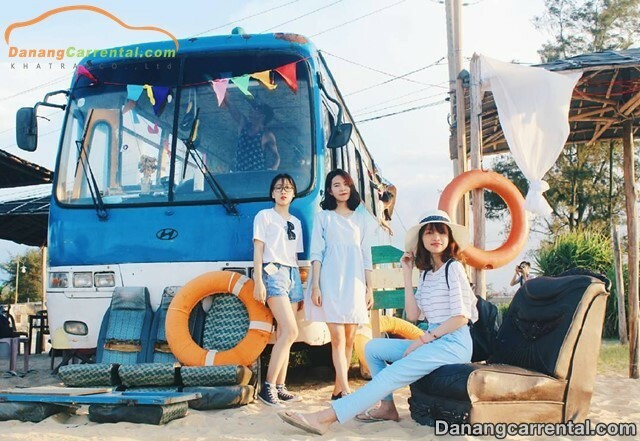 Bus cafe – creative and unique ideas for young people: From Thuan An beach goes along National Highway 49B about 1.5 km, you will see the sign turn left into the bus cafe. It is advisable for you to ask the people around the road as the road going there is quite complicated. It is picked up the idea from the bus which was broken, be charmed with the fun, lovely shapes and colors. It is located right on the sand of the Thuan An beach, along with many other backgrounds which are designed in a very casual way. Therefore, those give you a sense of broad-mindedness and freedom. We are sure that you will be fascinated by the cafe overlooking the whole sky! For those who are interested in exploring, Tran Hai Dai and Thai Duong Lady temple are two places that can not miss while visiting Thuan An beach. Tran Hai Dai: (Tran Hai Thanh – 1834) with main door located on Hoang Quang street and was built in 1813 under King Gia Long. Formerly, it served as a control, defense and mastermind for domestic and foreign vessel traffic. 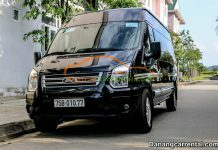 At present, it is the base of the Border Guard Station of Thuan An Port. There were many battles in the attack of French in 1883, and in 1998 it was recognized as a National Historic-Cultural Site. Ha Hai Thanh has a unique circular structure when viewed from the high position, this place has the bold mark of history and will impress on people’s memory as well as expand knowledge for those who love it! Thai Duong Lady templeis often referred to by the name of “Ba Giang” temple – the wife of the sea god, located in Thai Duong Ha village. This shrine was built hundreds of years ago associated with the legend of limestone – Thai Duong Goddess. This is a spiritual place for fishermen in the Thuan An beach as well as a great support of fishermen’ s spirit for peace and bumper for the catching fish trip of the local people here. Anna Mandara Resort: With the tourists who wanna enjoy a quiet and luxurious space, Anna Mandara Resort is an ideal choice which makes everyone feel pleasant. 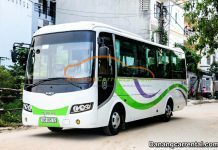 After dropping down Thuan An bridge, you can ask anyone about the Nguyen Thuyet street to Anna Mandara Resort, you are assured that people in Hue in general and people in Thuan An in particular are very friendly and enthusiasm! Anna Mandara Resort is located right on the stretch of Thuan An beach, designed with green space, large swimming pool, a range of restaurants and hotels structures facing to the sea. All of those advantages make up a quality of 5 star resort and help you take lots of beautiful photos. “Banh ep Ba Kieu”, Number 4 Le Sy street: After having a bath in the sea, it will be cold in the evening. 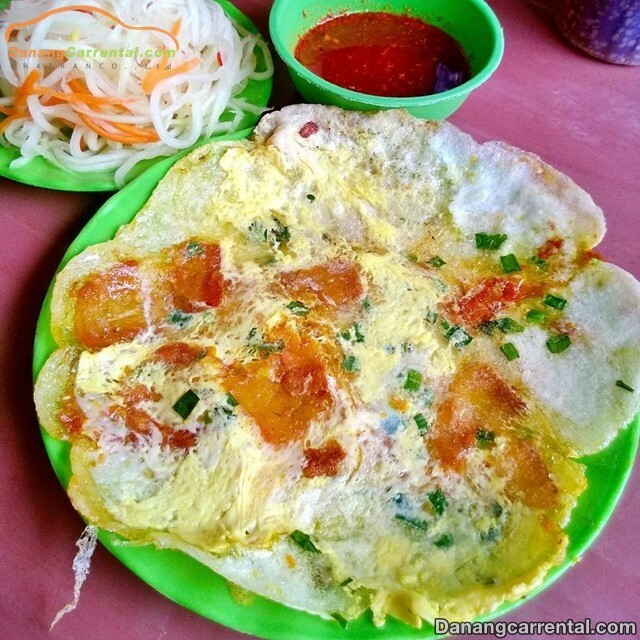 Therefore, that is so wonderful when you can enjoy the hot “Banh ep deo” with the sour and hot sauce fish! When you eat “Banh ep” here, you can eat more cucumbers without charging more prices. It just sets you back 20,000 VND/ plate with 12 cakes. Alternatively, you can also buy it to enjoy gradually or as gifts with crispy cakes.A bag of 10 large cakes with full pork is only 20,000 VND. 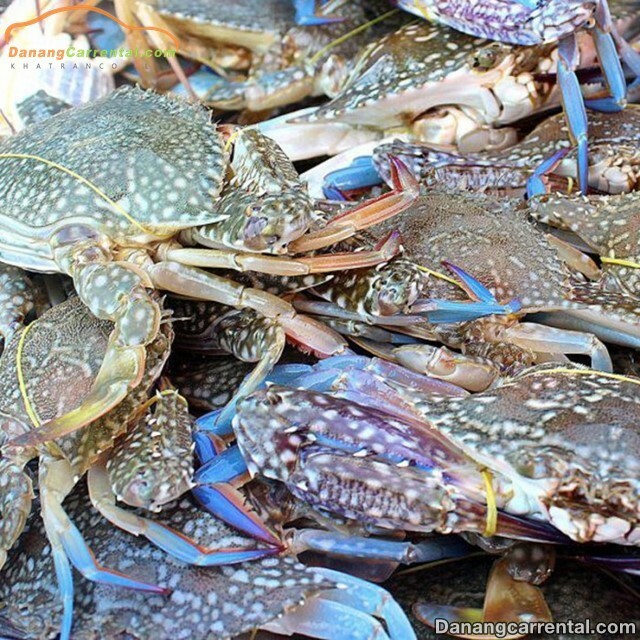 Seafood: There are lots of restaurants on the beach such as Huong Bien restaurant, Hai Son restaurant – Phu Thuan, … there are fresh seafood which is caught in Thuan An beach such as squids, crabs, shrimp cocktails, scallops … with good price as well as quality. Go swimming into the beach and then enjoy the fresh seafood, barbecue, warm hot pot at the beach and watch the sunset together with your relatives and friends. That is very interesting. You should drive carefully, because it often has policeman on the Highway 49, so you drive just to ensure both safety and avoid speed shot. Do not forget to check out the weather before planning to make sure your outings are perfect. Kha Tran hopes that the above information is useful for you all and wish you have a fun and buoyant trip to Thuan An beach. 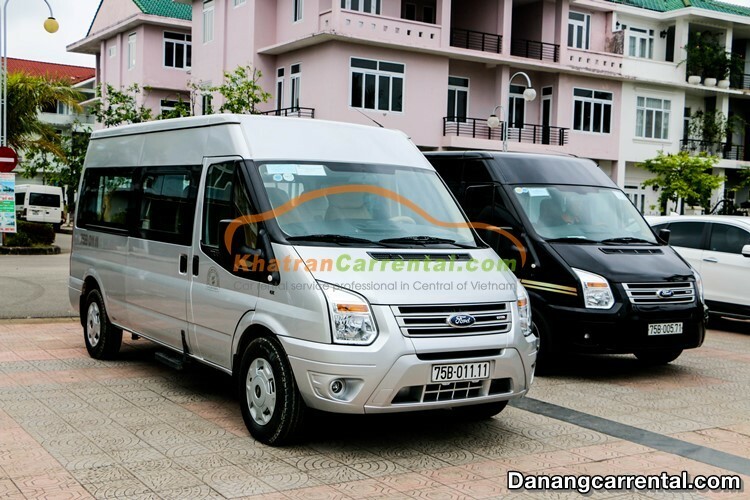 For more information or rent cheap car to visit famous sites in Hue, do not forget to contact Kha Tran Car rental hotline Ms Anna: (+84) 916510201 or Ms Katharine: (+84) 34 797 6789. Wish you have a trip to Hue is fun and complete!